Good news, everyone: Four years after Final Fantasy Versus XIII was first announced at E3 2006, the game's story is now officially complete. 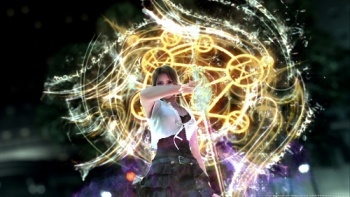 Speaking with Japanese gaming mag Dengeki PlayStation, Square-Enix chieftain and FF Versus XIII director Tetsuya Nomura confirmed that the scenario to the long-dormant game was now officially complete. Furthermore, his team had completed more than just the story - the characters and their respective wardrobes had also been finalized, said Nomura, indicating that he was finally happy with the number of extraneous belts and zippers on the characters' outfits. This is probably good news for fans of the series, who have been questioning FFv13's mysterious absence ever since the release of its counterpart Final Fantasy XIII earlier this year. While Versus XIII was a no-show at E3, it is expected to be on display at this year's Tokyo Game Show. On the other hand, we have to remember that Final Fantasy Versus XIII was first unveiled alongside FF13 at E3 2006 - four years ago! Does it really take four years to finalize a story and character designs, Nomura-san? What, are you trying to write your own Ã€ la recherche du temps perdu? I just wonder what exactly the Versus XIII team has spent the last four years working on.